You’re ready to have baby sleeping more consistently, and narrow down the night waking to just one night feed. This 2 week DIY plan will help you develop a full night of sleep (11-12 hours) with one night feed and consistent daytime naps! It’s time to get your baby sleeping all night long! Using this 2 week DIY plan you will walk through Becca’s step-by-step plan and video teachings to create sweet dreams all night, and consistent daytime naps! It’s never too late to teach your toddler to sleep through the night! In this 3 week program we’ll instill confidence in your toddler that they CAN sleep through the night independently. It’s all about a gentle process to encourage them that sleep is good, and they are SO good at it too! Our goal? A full 10-12 hours of sleep each night and 1 mid-day nap (1.5-2.5 hours) if needed. HOW DO Sleep courses WORK? Select and purchase your baby’s age appropriate plan! Set up your personal user account to log-in and access the training sessions. Enter into the program and begin watching/listening to each session within your baby’s plan! E-Coaching Plans Only: Receive automatic daily emails during 14 day plan implementation for FAQs, encouragement and guidance! After working with families across America, internationally, and being recommended by pediatricians, I found myself teaching and saying the same things every single day. So, I decided to write it all out and record it so that you don’t have to wait for a call or wonder if sleep is possible anymore! How do I know if a Course or E-Coaching is right for me? The Newborn Sleep Course is NOT sleep training and no expectation to sleep through the night. This program is designed to help you better prepare for the baby, understand your new baby’s sleep and create a solid foundation of sleep from the beginning of life. E-Coaching for 4 month olds is designed to help your baby sleep independently (bye bye pacifier and swaddle! ), have a full night of sleep (11-12 hours) with one night feed and create a consistent nap routine. There is no nap schedule for your baby until 6 months, so we expect to resolve baby’s day around awake times + naps totaling 3.5-4 hours of daytime sleep. 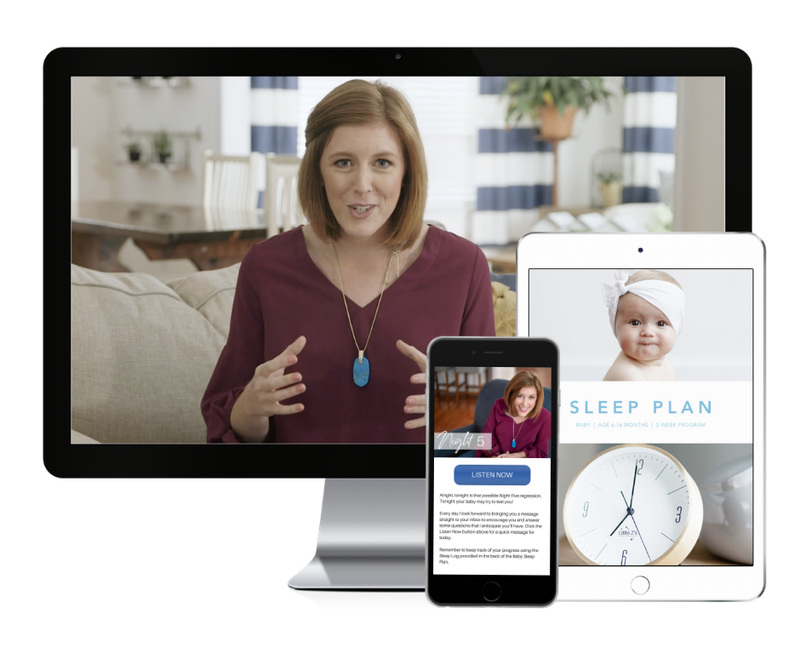 E-Coaching for 6-16 month olds is designed for babies who need to be sleeping 11-12 hours a night and have 2 - 3 hours of sleep each day (depending on nap transition). 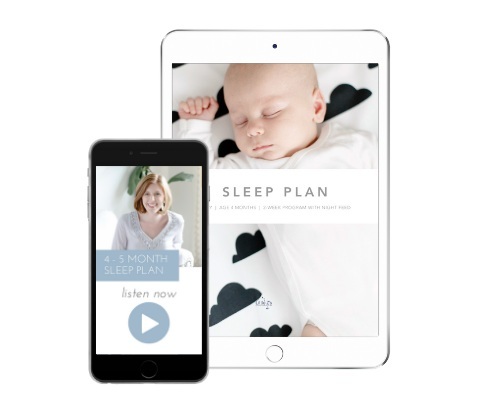 The Newborn Sleep Course: You will recieve a personal user account to log-in and access the training sessions as much as you need, lifetime access! E-Coaching for 4 Months: A personal user account to log-in and access the training sessions as much as you need for up to 1-months after purchase, after reviewing all sessions you will be prompted to select, “I’m Starting The Plan Tonight!” in which 14-daily emails will then be atomically sent to encourage, offer guidance and strategies for success! E-Coaching for 6-16 Months: A personal user account to log-in and access the training sessions as much as you need for up to 3-months after purchase, after reviewing all sessions you will be prompted to select, “I’m Starting The Plan Tonight!” in which 14-daily emails will then be atomically sent to encourage, offer guidance and strategies for success! All online programs have been designed to answer many of the questions I have faced after working with hundreds of families. If you’re looking for more in-touch support with Becca, you can upgrade at any time to Baby Basic or Baby Unlimited. The price of E-Coaching will be applied to any upgraded package. *Newborns: We are not sleep training, and will actually do all we can to minimize crying for your new baby.